an expanded, organic metal structure using discarded objects such as old tires and oil canisters. 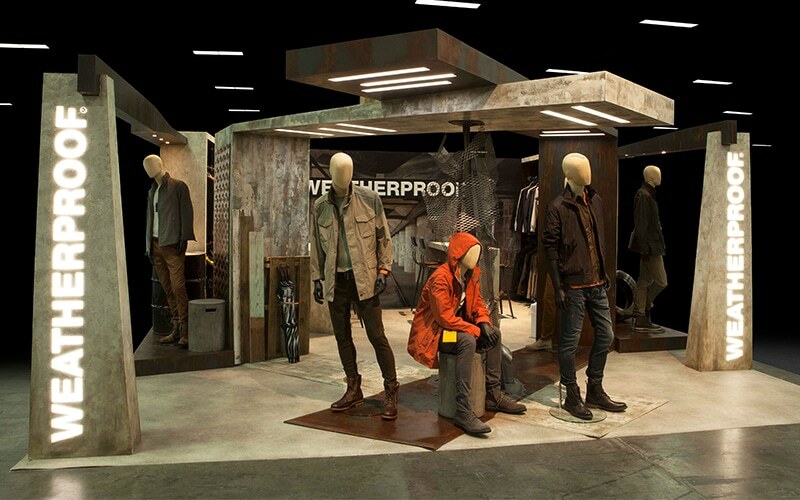 We felt that maintaining a true industrial look was crucial, which is why we brought in a scenic painter to create faux concrete throughout the entire exhibit. 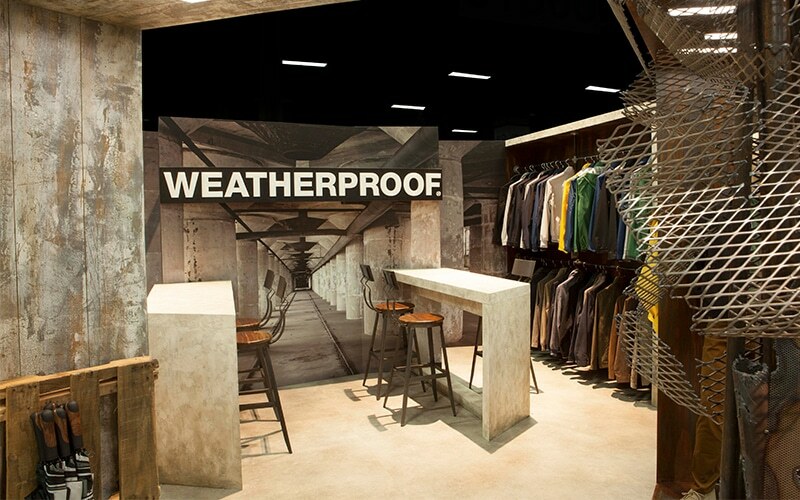 Feelings of the industrialized outdoors filled the space, creating a unique and authentic branding experience that allows Weatherproof to radiate out onto the show floor.